There are a lot of one-tap mobile games today, and Tap Tap Dash is one of the better ones. Developed by Cheetah Mobile, you just need to tap to change direction and turn. Sounds simple yes, but like other casual games, it is difficult to master and will have you trying again and again. Good thing Tap Tap Dash is fun. The goal is to move along the moving path. When you see a green and white arrow, tap the screen so your character moves along the path. However you need to time the tap because if you’re late by just a second, you will miss the path and it’s game over. As long as you get the timing right, you keep going. Keep tapping and you will make it to the finish line, then the next level begins right away. Aside from staying alive, another goal is to collect as many gems as possible. The more gems you collect the higher your score will be. As you play the game, you’re going to reach milestones that let you use more characters. There are half a dozen characters here including pigs and birds so Tap Tap Dash won’t get old quickly. 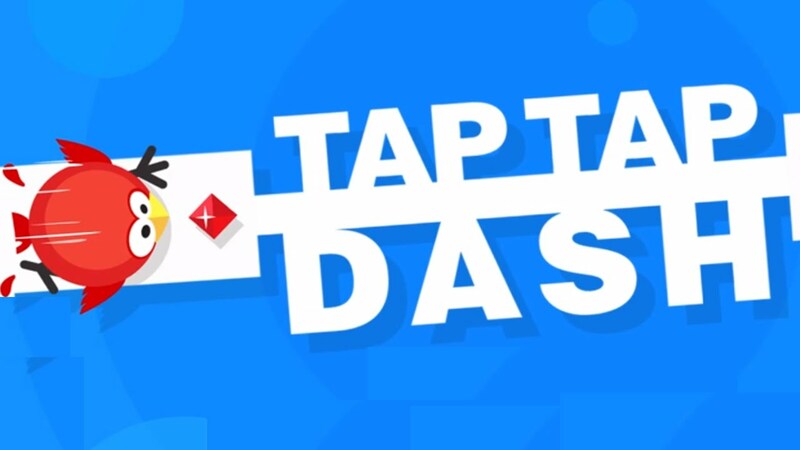 Tap Tap Dash is a casual game that should appeal to a lot of gamers. It is easy to figure out and just needs one hand to play. However, you do need to be alert as you could make a mistake and anticipate turns that are not there. As far as casual tapping games go, this is a good one.